ESPN reports that Conor McGregor has signed a new contract with the UFC, as confirmed Thursday by Dana White. 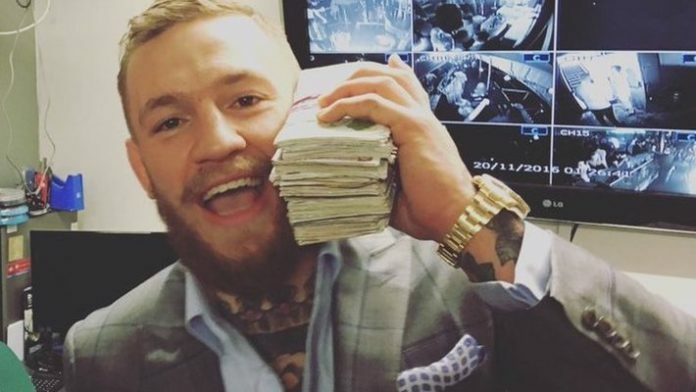 The contract reportedly includes promotion for McGregor’s Proper No. 12 whiskey to be in the Octagon for every fight. Sources confirm to MMA News’s Damon Martin that the contract is for six UFC fights. If the fact that Conor McGregor’s next fight is only a little over two weeks away didn’t already confirm it, then this news certainly does: The King is Back. “It’s massive,” White said of the UFC 229 pay per view on October 6th. “There has been a lot of talk about this thing doing 2 million buys. We’re trending right now at 2.5 million buys so that’s how big this fight is. “The biggest fight we’d ever done was Diaz vs. McGregor at almost 1.6 million pay-per-view buys. Then we did the Floyd Mayweather fight. “Conor works very well with us,” White said. And this new contract ensures that McGregor will continue working with the UFC in partnership with his Proper Whiskey brand for a long time to come. Are you surprised to learn about Conor McGregor’s new contract?